★★★★ "Black Watch reimagined for a small town function room"
★★★★ "There is a special thrill in seeing the play performed, this week, in Prestonpans Town Hall, a building these men would have known well, in front of the kind of local audience, reliving part of their own history, that has been thin on the ground in Scottish theatre since the demise of 7:84 Scotland and Wildcat"
Established in 2014: Wonder Fools seek unknown and forgotten stories lost in the evolving social landscape of modern Britain that we are able to reshape and make theatre from. We strive to create evocative and exhilarating contemporary theatre and performance, in both conventional and out of the ordinary settings. We seek to make accessible, energetic and engaging work which appeals to both traditional as well as non-traditional audiences. 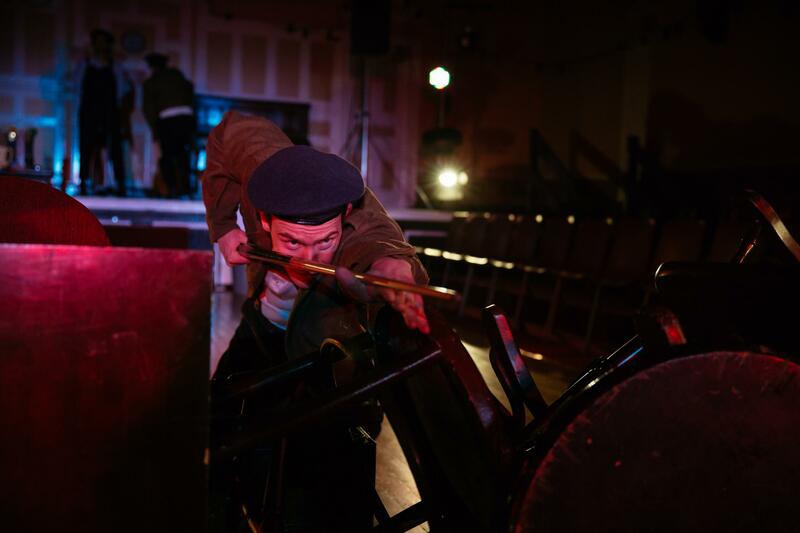 We aim to push the fold of who contemporary theatre and performance can attract and appeal to. We are fascinated by how theatre and performance can be socially and historically rooted in the landscape and community in which it's made; however big or small.